The idea of making the «HOORAH! IT’S A HOLIDAY!» script belongs to the producer of the film Natalia Gorina. Under the direction of Sergey Snezhkin this idea has been redesigned into a full screenplay. The film «HOORAH! 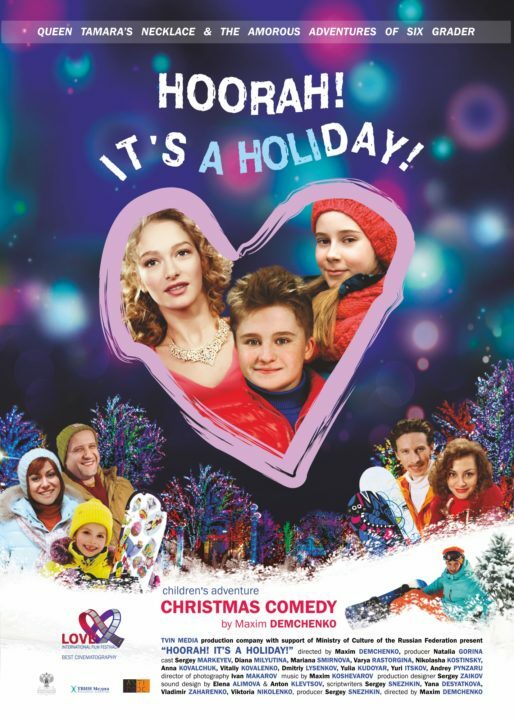 IT’S A HOLIDAY!» is not just a Christmas story for the whole family about love and Christmas miracle – this film from the beginning to the end was created by a young team. Script writers – Yana Desyatkova, Victoria Nikolenko, Vladimir Zakharenko – students of St.Petersburg Institute of Cinema and Television of the artistic director of the “Barmaley – film” studio Sergei Snezhkin workshop. Moreover in the various departments (from the dressing room to the administration department) on the film set have worked young students of Natalia Gorina and famous Russian producer Sergey Melkumov. All day long students helped the filmmakers get closer to understanding the teenager’s feelings and bring more fresh ideas and candor for the characters. Filming of «HOORAH! IT’S A HOLIDAY!» took place at the ski resorts of the Leningrad region. 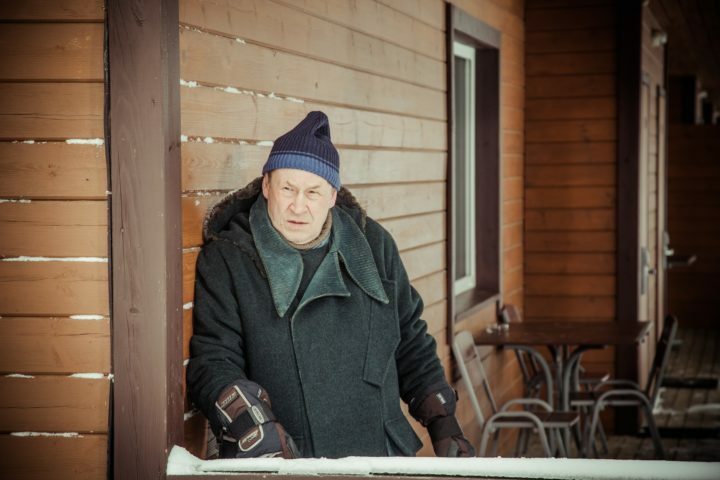 The harmonious, professional team, which was assembled by Natalia Gorina, and a friendly atmosphere on the set, created by Maxim Demchenko, did their job – the shooting of the film took a record for the studio time – only 21 shifts, and it provided that the majority of film sets – exterior: temperature -25C, the open hilly terrain, shifts for twelve hours, and children should stay beautiful, happy and ready for any difficulties. But the kids did not give up – even when the crew freeze and tired, kids gather theirs strength, overthrown their warming, and as nothing had happened, without moods, continued to perform. 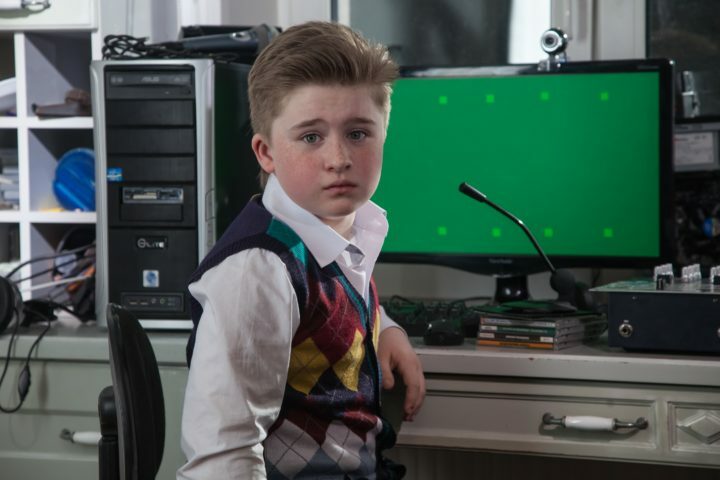 Our young actors appeared very talented: the leading part Pavlik performer’s (Sergei Markeev) filmography includes more than 30 films for just 6 years of professional experience. Maryana Smirnova is engaged in sports gymnastics and the dance studio “Todes” since she was only three years old. Moreover since 2014 Mariana is engaged in figure skating: to date she had participated in two city competitions, vining only first places. There is a scene at the rink which is essential to the plot. This scene required being dynamic and colorful, and the filmmakers worried that the crowd artists and bit parts cannot cope with the director’s task. However watching for the little girl Mariana, dexterously and incendiary dissecting skating in a sunny overall, all actors without an exception got inspired so much that scene turned out even better than they would expect. The actress of character Tamara – Diana Milutina – is engaged in ballroom dancing already for thirteen years. She is 6-times finalist and winner of the Saint – Petersburg’s Championship and finalist of the Cup of Russia, 2015. Love line of the protagonist is interwoven with a real detective adventure: Pavel gets into the hands of robbers. 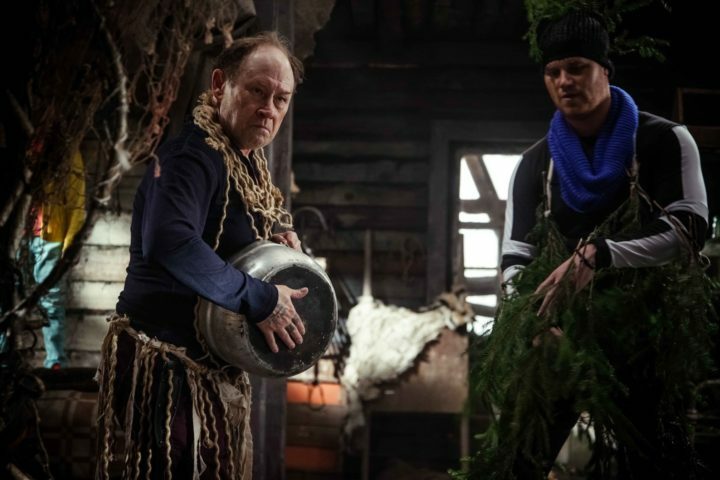 However, robbers find themselves as ridiculous misfits; their roles were masterfully performed by Andrew Pinzaru and the famous drama actor, National’s Artist of Russia, Yuri Itskov. Since most of the story takes place at a ski resort, and not all of the artists had ever owned this kind of sports, many of actors had a unique opportunity to learn snowboarding and skiing. During rehearsals and breaks between takes crew with bated breath observed how Anna Kovalchuk along with the instructor moved down from the highest slope – but Anna confident enough and never fell, but on the set she still had to portray an amateur. And for Anna Kovalchuk makeup and costume artists created quite an unusual image: instead of the usual strict tail tightened narrow elastic band – bob with bangs, instead of the narrow tie – playful brooch in the form of a bow. Adventures of Queen Tamara’s Necklace and Love Affairs of a Sixth-Grader on Christmas. Hurrah! Winter holidays! Hovewer Pavel Karelin is not at all up for a holiday: he is in love with the older pupil Tamara. The top beauty of the school categorically ignores the six-grader, and yet he is prepared for any feat to get her attention. Pavel’s parents make him a New Year’s present: the family goes to a mountain ski resort. And here comes the surprise: there he meets Tamara. But…a line of disasters pursues Pavel. Besides, everywhere the annoying schoolmate Katya gets in the way. Accidentally Pavlick finds a precious necklace stolen from a museum. The robbers are intent on getting back their loot. As hostages they take Pavlick’s little sister. Pavlick has to use all his resources to resist the robbers, to help theparents reconcile, to rescue his sister and meet his new love before the New year.